Attracted by global cosmetic brand gave me a task to do. Nowadays, a lot of make up consist of gelatin, collagen, placenta, AHA, etc. Some of these ingredients comes from animal (esp pork by-products) even from human placenta. Sounds disgusting but that's the fact we are facing right now. 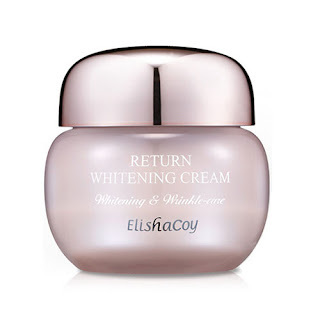 I only use its Return Whitening Cream as seen below. Im super impressed by their customer care! here are the emails regarding animal content in their product.